Slim line seats are coming to the US, Southwest is adding narrow seats and extra rows on their jets. 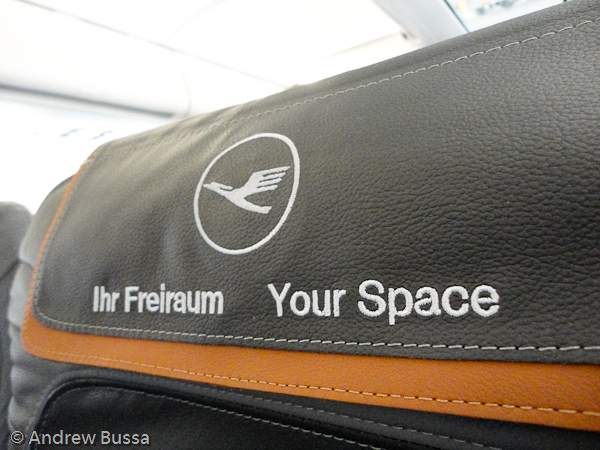 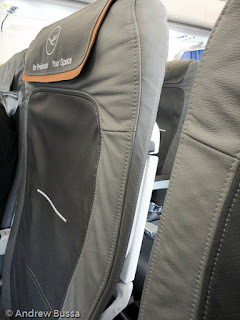 Lufthansa (and Swiss and Austrian Airlines which they own) has updated their Airbus fleet with these seats. 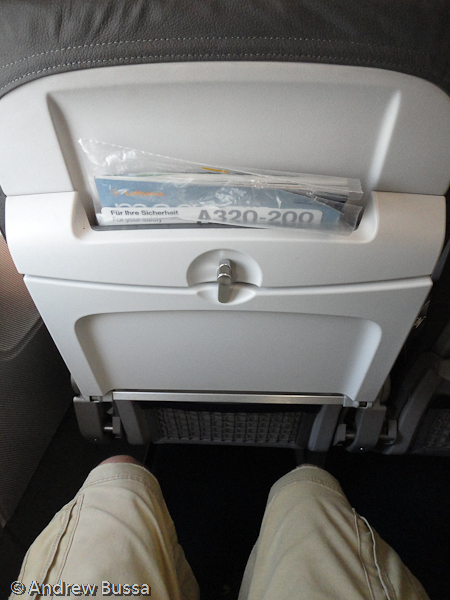 They are super skinny and have almost no padding. They are fine for a one or two hour flight, but I wouldn't want to be stuck in them for longer than 2 hours. 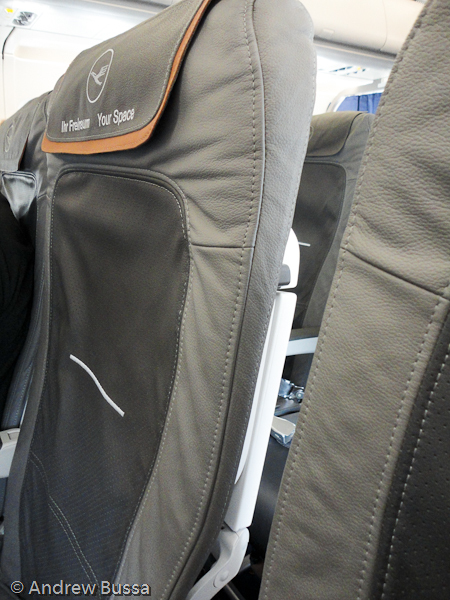 I do like the seat pocket redesign that provides more knee room.